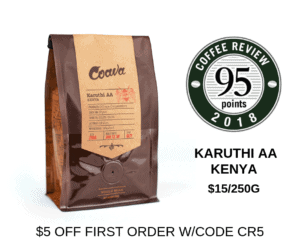 This coffee earned the highest rating in a tasting of holiday coffees for Coffee Review‘s December 2018 tasting report. Produced from trees of the rare Ethiopia-derived botanical variety Gesha (also spelled Geisha). With its elegantly elongated beans and distinctive floral and crisp, often chocolaty cup, the Gesha variety continues to distinguish itself as one of the world’s most unique coffees. This is a particularly refined presentation of the Gesha variety developed by boutique green coffee exporter/importer Ninety Plus Coffee and processed by its proprietary “hot fermentation” method. Bar Nine, founded in 2013, describes itself as a company of empathetic, impassioned and hard-working individuals who care about delivering a consistently memorable coffee experience, whether in its Bar Nine Los Angeles café, or in a home or business setting. Visit www.barnine.us for more information. 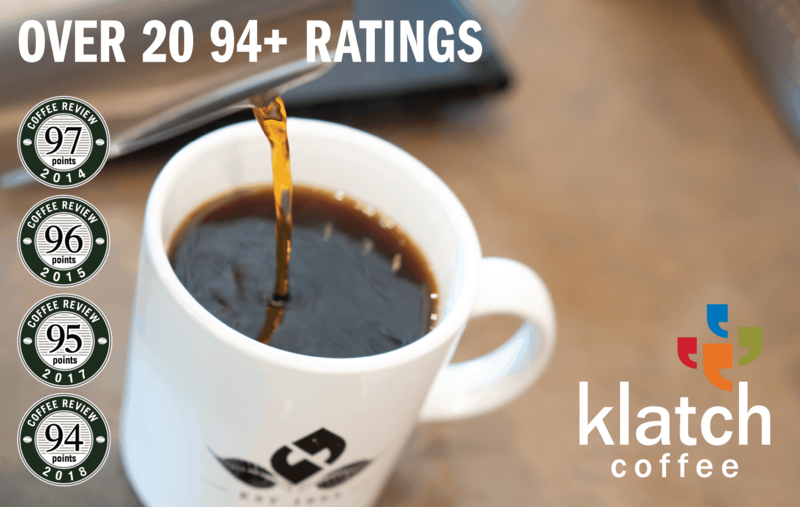 The Bottom Line: A knockout fruit-bomb of a Gesha cup, processed by Ninety Plus' proprietary "hot fermentation" method that is designed to intensify sweetness.